Happy 50th, Aaron and Maelene! Fifty years ago on Sunday, December 22, 1968, Aaron Wong married Maelene Leong at Old St. Mary's Church on Grant and California in San Francisco. 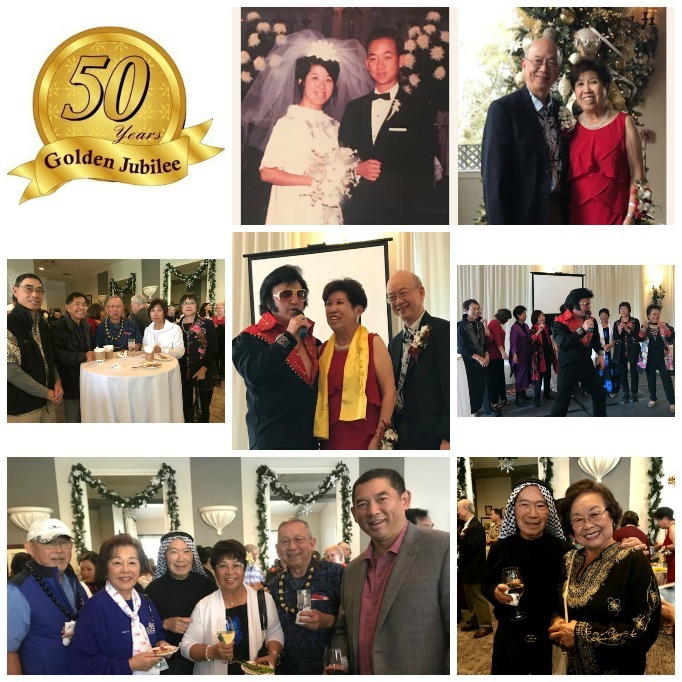 To celebrate their 50th Anniversary their two children, Geoff and Trisha and spouses, hosted a wonderful party, based on a travel theme, at Castlewood Country Club in Pleasanton. Many friends and family members helped them celebrate this momentous occasion. Even Elvis was in the house to serenade and party with the couple. Maelene was President of SBCC from 1985 to 1986 and Aaron was President of SBCC from 2001 to 2003. Congratulations to the loving couple! South Bay Chinese Club (SBCC) and Citizens For Better Community (CBC) will co-sponsor our Christmas party at Aegis Gardens Senior Retirement Center. Please plan to attend on Saturday, December 6, 3:00 p.m. to 6:00 p.m. Enjoy dancing and music while spreading the good cheer to friends and others! Aegis Gardens will be beautifully decorated. It's a great place to take pictures with Santa and the Christmas tree. There will be loads of fun featuring the FCSN Dream Achievers Band (Friends of Children with Special Needs). They are a fantastic band and their name is spreading. The FCSN Band has performed internationally in Beijing, Hong Kong, Shanghai, California State Capital, and various universities. FCSN Dream Achievers Band will be playing a mix of Christmas and band music. Come and dance. Some of the seniors will join us in the merry making and all love to watch the action! We'll have dinner hosted by the two organizations and Aegis Gardens afterwards. We always have a great time with the seniors. 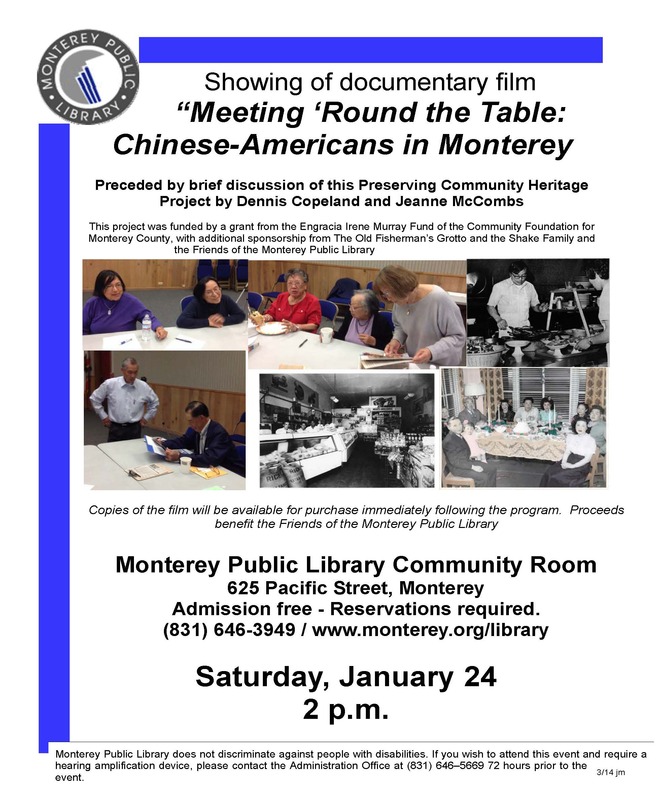 Please RSVP by December 1st to Amy Cho (797-6426) or you can RSVP online by clicking on the RSVP FORM button below. To help defray expenses, there will be a nominal charge of $5/person for adults and children over age 10 at the door. We are also holding a canned food and toy drive as in previous years. If you want to share something at this time of giving, please make sure to bring it to the Aegis Gardens. We will help you deliver it to the League of Volunteers (LOV). The address of Aegis Gardens is 36281 Fremont Blvd. (across from American High School on Fremont Blvd. This is different from the other Aegis in Fremont!) You can find the map on our Event page. Please allow time for parking. Parking at Aegis Gardens is very limited but it can be found easily on side streets. The "Gin" population at SBCC has grown again on July 1, 2014 when proud parents Brian and Sara welcome their second son, Asher Ryan Gin. The very happy grand parents Victor and Fran hosted a Red Egg and Ginger party on November 15 to celebrate the arrival of the newest member of the family.